The recent announcement by the Malaysian government that it will invest RM6 billion of public funds to revive Malaysia Airlines (MAS) is a good idea and one that should be welcome by every Malaysian. The national carrier is a source of immense pride for Malaysians and so it should be. In the broader perspective, MAS has an exemplary safety record, provides direct and indirect employment for thousands of Malaysians and was profitable for many years. 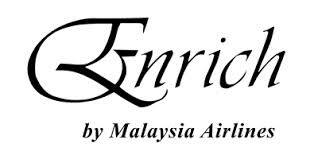 Furthermore, when managed effectively and innovatively and when the importance of morale was understood, the national airline played a major role in defining the Malaysia Nation Brand as it was the first touch point for many of the more than 10 million passengers carried annually. Moreover, through MAS, Malaysia got the opportunity to reach out to consumers with a physical product, develop a relationship with them and build a profitable business at the same time. Many of the millions of Europeans who flew the ‘kangaroo route’ from Europe to Australia and New Zealand became brand ambassadors for the carrier. Much of that goodwill has been eroded but the brand is still intact but there is a lot of work to be done to rebuild global trust in the brand. The recovery plan that will require sweetheart deals to be renegotiated, staff numbers to be reduced and other major restructuring initiatives are just the beginning. Rebuilding internal branding and developing a strong, innovative, customer focused external brand strategy will be just as important. While the airline restructures, it needs to continue to operate. 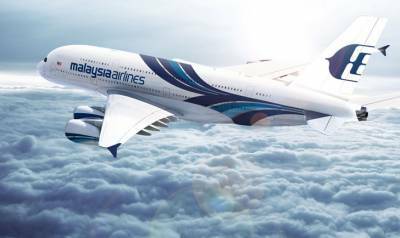 In June 2014, when MAS CEO Ahmad Jauhari Yahya told shareholders that the MH370 incident had “sadly now added an entirely unexpected dimension, damaging our brand and our business reputation, and accelerating the urgency for radical change”, I was expecting, well radical change. Externally, it looks like that radical change consists of nothing more than slashing prices! In addition to slashing prices, MAS also launched ‘My Ultimate Bucket List’ competition with 12 return flights to Kuala Lumpur and 4 iPads as prizes. Its not uncommon for bricks and mortar retailers to slash prices in the face of poor sales and it’s a familiar tactic of low cost carriers looking to sell excess seats. The idea is you attract new customers who might not have bought from you and you get a spike in sales that will get you through the lean times. But we’re not selling soap powder, software or biscuits. An international airline that competes in the same space as Singapore Airlines, Cathay Pacific and the increasingly aggressive Middle Eastern carriers and is reeling from two tragic events is not going to build a stronger airline or rebuild trust by slashing prices. Slashing prices gives the impression the project is cheap, something MAS cannot afford to do. It also smacks of desperation and lowers the value of the product to that of a low cost carrier and may well cause customers to lose not rebuild confidence in the airline. Furthermore, by slashing prices, MAS is throwing away all of the pricing power it has built up over the past few years, power that will take years to win it back. The regional senior vice president also said “We would like to thank all our travel agency partners and passengers for their relentless support during what has been a difficult period.” I understand that MAS has also doubled the travel agent commission rate to 11% till mid September. At the same time as this seat sale and travel agent incentive is launched, the MAS frequent flyer programme (FFP) Enrich is sending emails out to 14 year olds offering them the opportunity to earn extra air miles if they book a hotel with the MAS hotel booking partner. Not many 14 year olds book hotels. Enrich marketing is sending out up to 8 emails a month asking members to play golf at the Mines, get double miles when they fly with Firefly, take advantage of a sale at shoe shop Lewre and various other offers. After flights, the airline is also sending an email to travellers asking them to complete a survey that asks questions such as “At which airport did you board/leave this flight?” and “Class of travel” as well as questions that the answers might be good to know but don’t identify causes of dissatisfaction or provide any real actionable data. Meanwhile, while MAS offers travel agents double commission on bookings, MAS loyalists who have flown more than 20 times since MH370 went missing in April 2014 haven’t received personalized communications from the airline thanking them for their support or an offer of free air miles, upgrades or other shows of appreciation. Based on this evidence, it would appear MAS has essentially ignored its existing customers and frequent flyer members and instead gone out and offered special deals to all and sundry in the hope that enough of them will take the bait and fly the airline. Right now a focus on gaining new customers or market share is a misguided approach. Yet MAS, like so many firms is attempting to do just that whilst ignoring its existing customers. The MAS FFP Enrich is rumoured to have more than 1,000,000 members. The database of Enrich members is a potential gold mine of revenue that needs to be cleaned and leveraged properly and quickly with a well planned and implemented programme. OK, MAS probably doesn’t need to know the name of every FFP member’s pet but it does need to know enough data to know what products should be sold and to whom and how to increase share of wallet. Consumers are willing to share more information than ever before and MAS needs to start collecting data and sending the right offers to the right people. Sending invitations to book hotels to 14 year olds is sloppy and shows a lack of professionalism and that will do nothing to rebuild the brand’s reputation. Good to know but how can the answers help rebuild the MAS brand? Each customer’s experience is defined by the economic, experiential and emotional value of each ‘moment of truth’ when interacting with the brand so mass advertising campaigns either online or offline and slashing costs are not going to rebuild the MAS brand. There is a great deal of sympathy out there for MAS and a bright, real, transparent, honest and consumer driven campaign on social media about real people travelling on MAS will inspire more people to develop a relationship with the airline (and relationships are the goal, not selling seats) than any seat sale with a weak call to action. 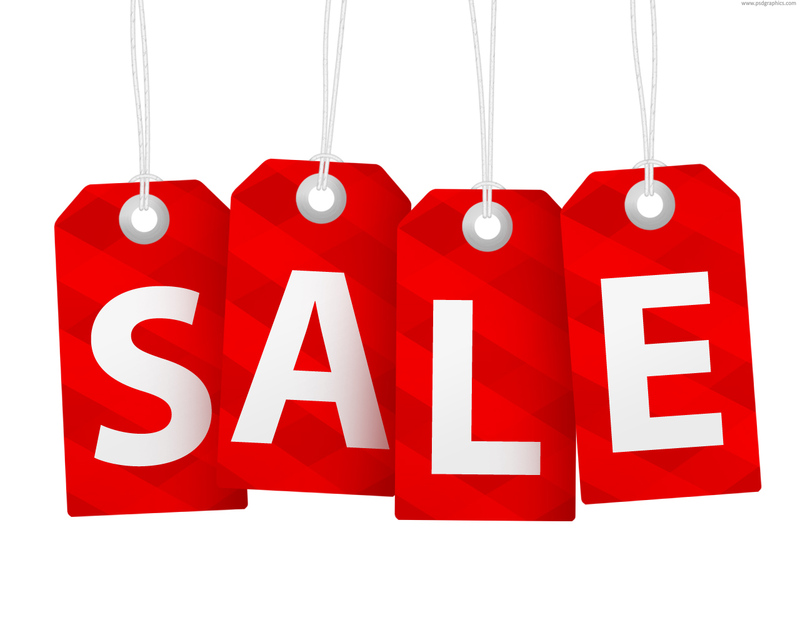 Few consumers are going to develop a relationship with a brand based on a one off sale. And besides, legacy carriers can’t compete with LCCs and the moment MAS tries to increase prices, those customers won on price will go elsewhere. MAS must start building relationships with its customers and leverage those relationships to increase sales. The success of those relationships will be determined at every touch point which means the website booking engine, check in staff, customer service representatives, ground and airport staff, cabin crew, in flight entertainment, comfort and service, baggage operators, communications, helplines and more must be all be ‘on brand’ and on top of their game at all times. There is no short cut to rebuilding the MAS brand. It is going to take a lot of effort strategically and tactically. Slashing prices and flooding the Internet with forgettable, price driven ads won’t turn the company around. The MAS website has been a mess for too long. No matter what the cost, funds must be made available to fix the booking machine and fix it quickly. It’s also time to retrain front line staff as they currently do not have the skillsets required to deliver a premium brand that can compete with the aggressive ME carriers. The customer is only interested in one thing, what’s in it for me (WIIFM). Yes many of them care about the airline but they aren’t about to risk their lives or those of their families. Every single customer flying MAS in these difficult times has to be made to feel special (this should be part of the brand strategy but is particularly important now). Those customers flying MAS now are the saviours of the brand and must be nurtured to become brand ambassadors and brand advocates who will be talking loudly about the fact that they are flying the airline now. Make the experience a memorable one and they will talk loudly and for longer and do more to rebuild trust that any corporate driven advertising or PR campaign. None of this is rocket science but these 6 top tactical tips will lay the foundations for the rebuilding of the Malaysia Airlines reputation quicker and more effectively than slashing prices. Thanks for maintaining such an insightful blog. I have found your entries on MAS a valuable resource. As my project team in a strategic brand management module is recommending a tactical strategy of price matching the LCCs in order to curb losses, this article has raised many red flags that confirm we are heading in the wrong direction. Moreover, our proposed “Reborn” campaign looks very much like a flashing target board for criticism that hit both the “Ultimate Bucket List” and the generalist “suitcase campaign”. I’d like to hear your opinion on an idea quite similar to that of one of your reader’s: Taking responsibility for the two aircraft losses with a public apology and also, a symbolic event of closure and moving on with religious/cultural rites for bereavement and future blessings. MAS should also increase their emphasis on safety with tangible, transparent implementations (retraining of flight crew and re-evaluation by safety regulatory bodies). There could also be a subtle change of all seat belts to include a malaysian symbol of peace and safety. My point of view is that rebuilding of the brand hinges on the return of trust and peace of mind onboard an MAS flight. This would then facilitate the 6 tactics you suggested. Project aside, your opinion on how Positioning is becoming obsolete in today’s economy is thought-provoking, given that current marketing courses still place much importance on it. Will be visiting your site more often to serve as a reality-check on what I’m learning in the future. Thanks for dropping by and for taking the time to comment. Your project sounds like an exciting one and I wish you all the luck. If you need any help, give us a shout! I imagine there could be severe legal implications if MAS were to take responsibility for the two aircraft losses and I’m not sure it would be the right way forward at this stage. Personally I don’t think MAS is to blame for the second incident. We still don’t know what happened to MH370 so it would be hard to develop any strategy around safety. Moreover, safety is pretty much a given with aviation these days and a potentially tricky bedfellow. Finally, MAS had an impressive safety record up to MH370 and I don’t think MH17 was a safety issue. ANd of course they can’t close MH370 yet because the story is still alive and will be till they find the wreckage and identify the cause. Trust is of course key to any successful brand strategy. And your suggestions are interesting ones, especially the training one. However there are deeper cultural issues within MAS that need to be addressed before such initiatives are looked at. As an example and you’ll have to read between the lines on this one, if the wrong training firm is chosen by the wrong person and for the wrong reasons and then delivers the wrong training, more of the same isn’t the solution. Hopefully these will be addressed when MAS is taken private. 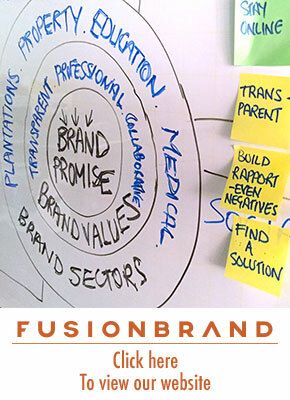 And a corporate wide holistic brand strategy based on brand audit results will be implemented. The rebuilding of the brand hinges on the return of trust on board and the ability of the airline to deliver consistent economic, experiential and emotional value to customers and on their terms. I’m happy to talk about positioning and its demise anytime! I am a postgraduate student from Hong Kong and doing a research paper of MAS for its rebranding ideas. I agree with you that MAS should not reduce the price to match with LCC as it is not what a premium carrier should do. Once customers get used to the low price, without new value-added service, there is no way for MAS to sell the ticket in regular price again, let alone charging premium price for making profit. MAS has a lot competitive advantages which are yet fully capitalized. With Skytrax award-winning cabin crews and assistance of Malaysia government, there are a lot of things can be done for innovative services, which can very much differentiate from strong competitors especially for business/first class/frequent flyer passengers. Thanks for stopping by my blog and for taking the time to comment and agreeing with me! Good luck with your paper and drop by regularly! Some very insightful observations. Morale at MAS is extremely low. Training has been poor and mid level management is weak. Their FFP is poorly managed – 12 year old children are getting invitations to apply for credit cards and book hotels – and you are right, loyal customers are not appreciated. It’s going to be a long road back for MAS and this privatisation is there last chance. Let’s hope they get it right. im a undergraduate in Malaysia. My group are given a task to develop an IMC program to help MAS to rebuild their brand…any suggestion? Thanks for stopping by my blog. What a great project. The first thing you need to know is that it cannot be done in isolation. The second thing is that you must get the organisation sorted first. 3) an IMC will not rebuild the MAS brand. 4) don’t try and develop a position or tagline or corporate driven messages or story and try to push them onto consumers instead identify target market requirements for value and deliver that value. 5) Technology, data and how you use that data will be key. 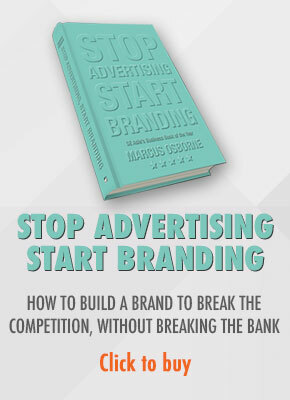 6) Build the brand based on retention not acquisition. That should be enough to get you going. MAS seems content trying to compete with low-cost carriers regionally while at the same time compete with the Gulf’s Big 3 (EK,EY,QR). The advertised airfare to London starts at RM2499, only for Emirates (EK) to respond with a fare around RM140 lower. Any sane traveler would choose the quickest route via MH, which is around 13 hours of flight non-stop, compared to paying less but end up transiting as quick as 9 minutes which would still render the flight a total block time of over 16 hours, given the lengthy taxiing to the runway at DXB. What MAS should do is prepare itself to compete with British Airways which are due to operate out of KUL soon. albeit with older jet like the B777-200ERs. Their introductory economy airfare to LHR starts at a whopping $3600-plus I believe. MAS inflight-entertainment content pales in comparison to Emirates’ so that could be a weigh-in factor to capture some market off the Gulf’s major carriers. I hope all the first-class and business passengers are given noise-canceling headsets by Bose while the economy class fliers are given likewise but by a lesser brand, Sony. They do not have to compete for wide range of IFE content offered by Emirates, but suffice to offer a few movies that are currently running in theaters, as well as some blockbusters of the past decades. The listening and viewing has to be a pleasant and fulfilling experience. Utilizing lighter IFEs like Lumexis’ Fibre-To-The-Screen (FTTS) would eliminate the individual IFE content box beneath the seat in-front of each passenger and shave a few kilograms off the current copper-heavy wiring system that make up the traditional IFEs. At 32-inch pitch for economy, one will feel like it’s 36-37 inch with the feet extended all the way to beneath the seat in-front. Think of the savings in fuel for each A380-800 for a whole year. Turkish Airlines(TK) adopt this IFE system, and their A330-300 does missions where MAS would utilize a B777-200ER for. Example of the extensive range covered by a TK A330-300 are IST-KUL and IST-ORD routes, close to 9000km. With the saving of weight, than MAS can offset that to introduce premium cutlery for all classes in the cabin so when they dine in-flight, they will savour the gourmet experience. Another EU sector operated by MAS on the new A380 is Paris(CDG). If Air France(AF) utilizes older jets like B777-200ER for the same route, MAS can offer a higher premium price with the newer aircraft. The internal noise is deafening on older B777s compared to the quiet A380s. Get fliers those NS-headsets now, even when flying on the quieter behemoth of an A380, and they’d keep coming back for more. Many thanks for visiting my blog and for your knowledgeable and informative comment. MAS does need to move away from the focus, no obsession with price. It is common knowledge in the aviation industry that low-cost carriers have a unit cost advantage of 35% over legacy carriers so taking them on on price is a recipe for disaster, as proven by MAS. I also feel that MAS has a focus on cheap and they look at the cost of everything they do and not how to make the experience better. I’ve heard numerous complaints about the A380 IFE and how it doesn’t compare with the ME carriers. I’ve also heard complaints about the A380 seats. From a personal perspective, I recently flew to London and back on the Etihad B777. Surprisingly I didn’t find the stopover in Abu Dhabi too much of an issue but I did think the planes were old, certainly on the KL-bu Dhabi leg. Too things separated Etihad from MAS, one was the service, both on the ground and in the air. On the ground, even though the ground staff wore MAS uniforms, they were full of energy, enthusiastic and good at what they did. Checking in with MAS, which I do at least 4 times a month, I always feel that they are listless, just going through the motions. In the air Etihad was superb. I was in business class which was full but the head stewardess went to every single passenger, introduced herself and chatted with the passenger, asked whether they would like their meal after takeoff or before landing and so on. I just felt so important whereas with MAS I always feel that on the whole, the staff are doing the bare minimum. To compete with the aggressive ME carriers and the arrival of BA, MAS is going to have to really know what are traveller requirements for value and be willing to deliver that value, even if it means investing in the brand. Texas! Jusst wanted to say keep up the fantastic work! whjoah this blog is wonderful i love studying youyr posts. Keep up the great work! You know, many persons are hunting around for this information, you could aid them greatly. 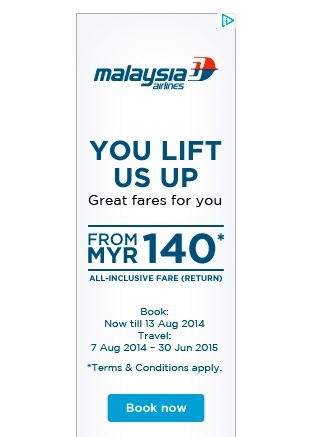 Pingback: Malaysia Airlines Rebrand is Coming - How Big Will it Be?